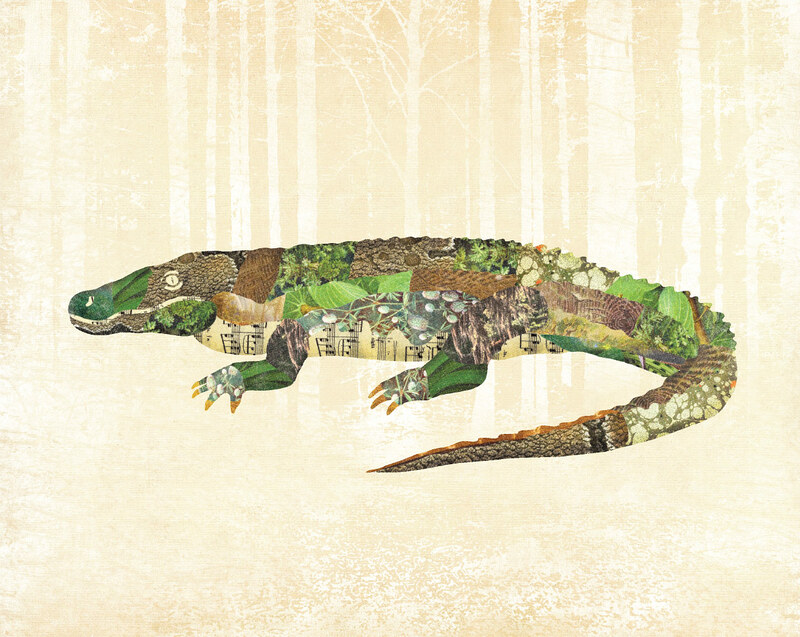 A homage to Gerren’s home state of Louisiana, meet the latest creature in our collage series, the Gator. 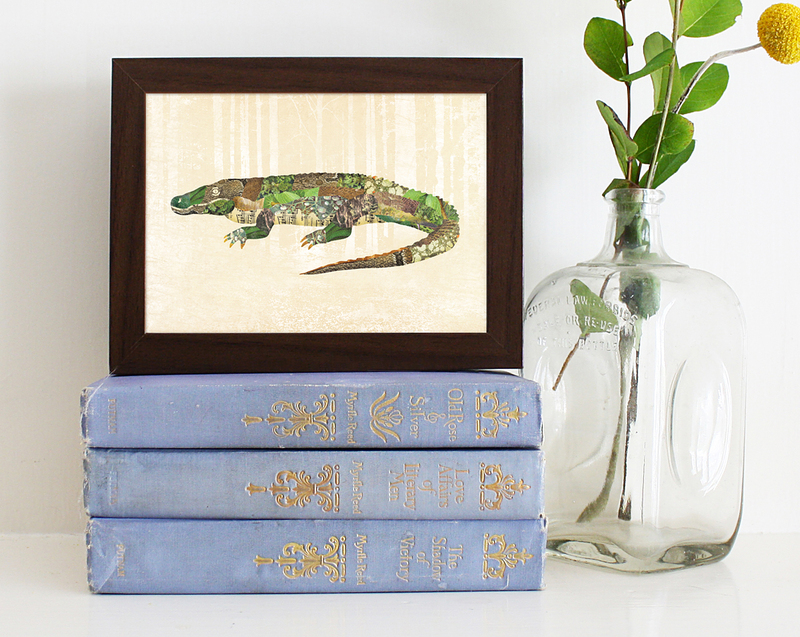 Available as 5″x7″ and 8″x10″ archival prints in our shop. 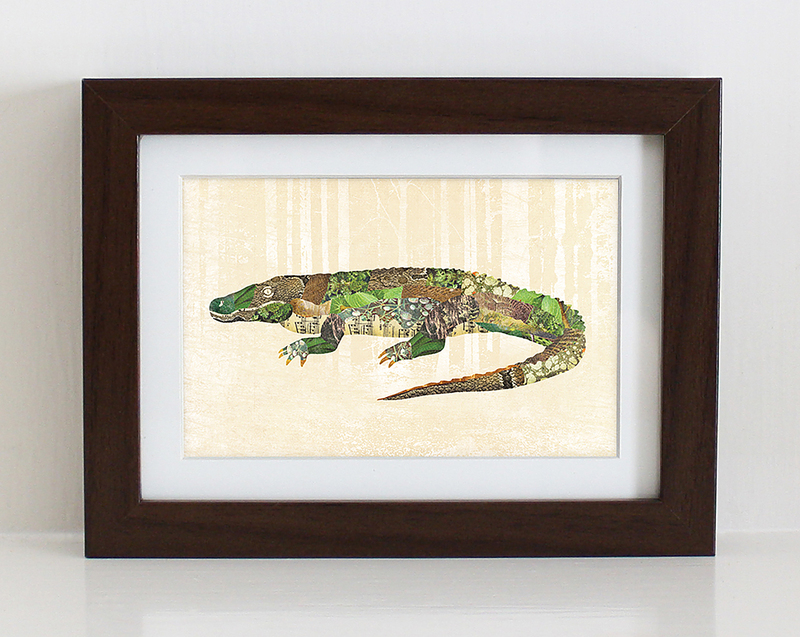 This entry was posted in Product Launch and tagged alligator, archival, gator, louisiana, print, south, swamp, woodland creature. Bookmark the permalink.